Under pressure from states, has Centre removed buffaloes from ban on sale of cattle for slaughter? The Narendra Modi government's decision to ban the sale of cattle for slaughter appears to have backfired, with a number of states opposing the move. Leading the charge are West Bengal Chief Minister Mamata Banerjee and Kerala Chief Minister Pinarayi Vijayan. Towards Monday night, there were reports that the Centre may backtrack and exclude buffaloes from the notification. If that happens, it would be a partial victory for the states that have taken on the Centre. Banerjee held a press conference on the issue on Monday, in which she lambasted the Union government. She termed the move as “unconstitutional” and a “deliberate attempt by the Centre to encroach upon the power of states”. She also said that the government's decision would be disastrous to farmers. “Now if a farmer is transporting old cattle, someone will just come and murder him”. She said that her government will consult the state Advocate General and move the Supreme Court's constitutional bench. “It is completely unethical and undemocratic as Centre is trying to infringe upon the rights of the state government. We will fight it out legally and approach the constitutional bench if required,” she said. . According to Banerjee, the Centre's move goes against Article 246 of the Constitution which gives state governments the right to lesgislate on any matter given under the 7th Schedule. Centre is contradicting their own law and under Article 246 of the Constitution of India the legislation of any state has any power to make laws with respect to matters related to 7th schedule of the Constitution. Kerala Chief Minister Pinarayi Vijayan, who was the first to speak out against the government's move, further upped the ante by writing a letter to other state chief ministers on the issue. “This is nothing but a covert attempt to usurp the powers of State legislatures in the guise of rules under a Central Act. The subjects covered by the Rules belong to entries 15 and 18 of the State List in the Constitution. This impermissible encroachment into the domain of the State Legislatures is a clear violation of the spirit of federalism, which is acclaimed as one of the basic features of the constitution,” he wrote. “They also violate the basic right of a person to freedom of choice regarding his food,” he further added. He urged the CMs to “stand together” and “oppose this anti-federal, anti-democratic and anti-secular move”, otherwise it will mark the end of India's federal and secular fabric. He requested the CMs to convey their objections to Prime Minister Narendra Modi and withdraw the rules that have been introduced without consulting the states. Vijayan and Banerjee have a point. The 15th item in the state list, pertains to “preservation, protection and improvement of stock and prevention of animal diseases; veterinary training and practice”. The Centre seems to have pre-empted this by introducing the rule in the name of prevention of cruelty to animals, which falls under the concurrent list, a move which is being seen as “sly” in states like Kerala and West Bengal. Another state that joined the bandwagon against the Centre's move is Telangana. Telangana agriculture minister Talasani Srinivas Yadav called the move “draconian” and said that it would be disastrous for 85 lakh small and marginal farmers in the state. 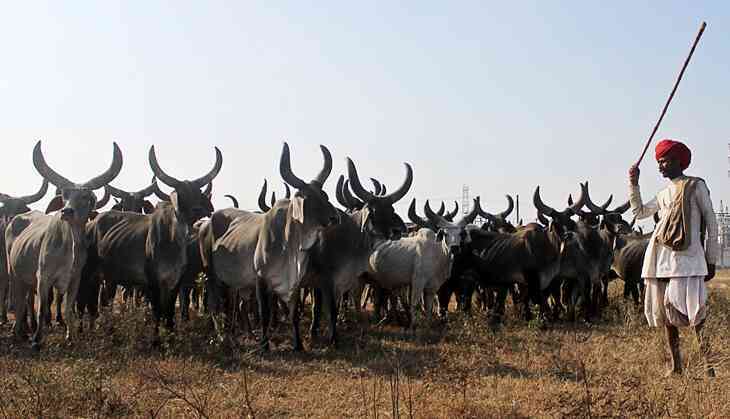 “What can farmers do with old, useless cattle and other animals?” he asked. TWEET THIS Kerala, Bengal lead charge against Centre's ban on sale of cattle for slaughter. Telangana joins in Under pressure from states, has Centre removed buffaloes from ban on sale of cattle for slaughter?